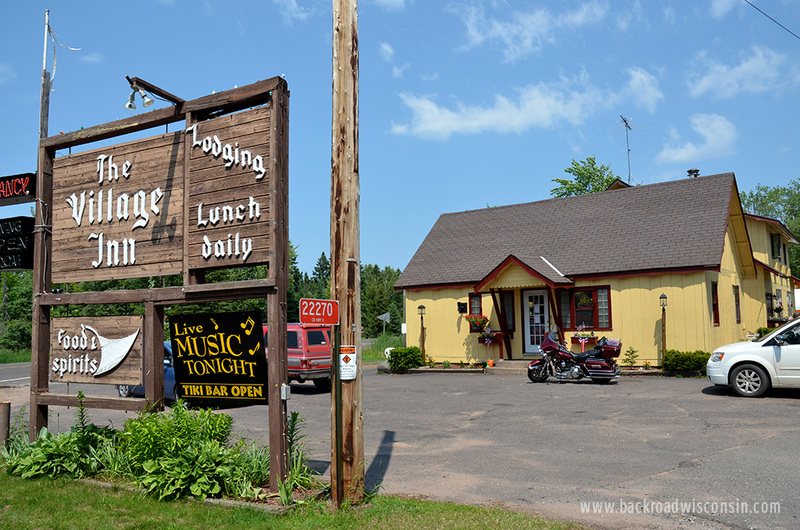 Heading east from Superior, the first sign of Cornucopia you’ll see is the Village Inn. Located on the intersection of Hwy 13 and County Rd C, this bar and grill offers great food, conversation, and a couple of rooms upstairs to spend the night. 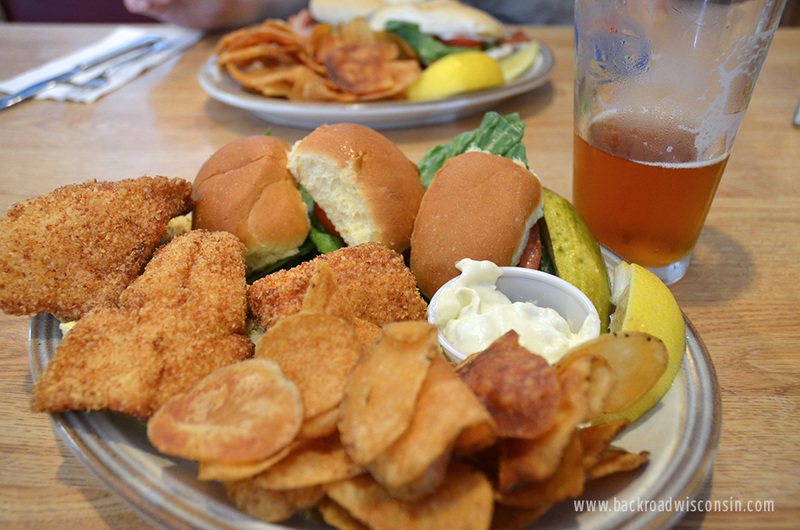 We didn’t extend our stay in Cornucopia overnight, but had a delicious lunch that consisted of local favorites: Whitefish Sliders, and a Whitefish BLT. The whitefish, caught locally by Marky, the fisherman based out the the town’s, Siskiwit Bay were flaky, mild, and well seasoned. Accompanied with home made kettle chips and mayo. The Whitefish BLT consisted of a smoked whitefish spread, smokey thick cut bacon, lettuce, and tomato and paired very well with our beers. The Village Inn also serves a full menu of sandwiches, burgers, and dinner entrees. No stop at Cornucopia would be complete without a stop at Ehler’s General Store. Located around the corner from the Village Inn on what only could be called Cornucopia’s main drag, the general store offers a little of everything. 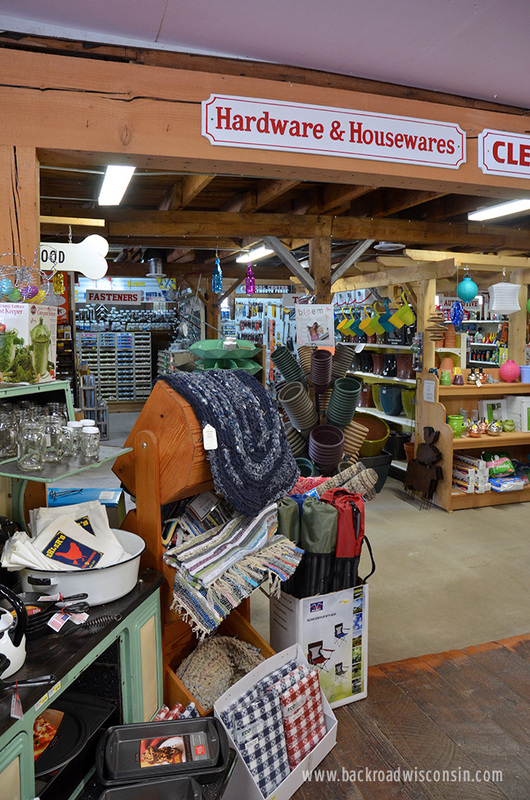 Part gift shop, grocery, hardware, and deli, Ehlers is the place to go if you need it and forget it at home. The historic building, originally built in 1915 has been completely renovated in 2007 to offer an expanded grocery and deli section. Summer hours are daily from 8am to 8pm. Call ahead or check the website for offseason hours. Across the highway and hugging the bay is the line of little artist shops. These brightly colored shacks offer a wide range of locally produced artwork and craft items. 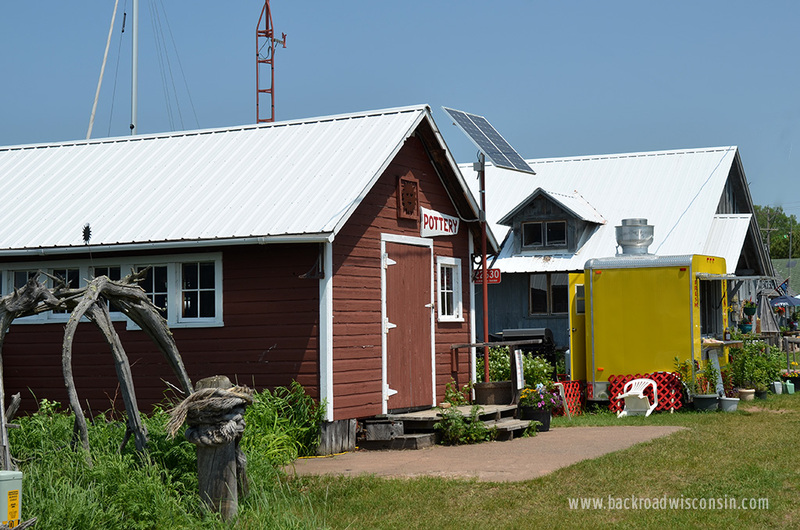 Don’t forget to check out the Cornucopia historical museum located in the shelter at the north end of the bay. 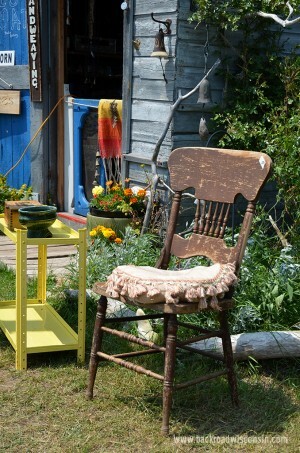 Speaking of art, mark your calendar for Cornucopia’s art crawl day: September 14-15, 2013. The Cornucopia Art Crawl is a day dedicated to promote the art scene in Cornucopia. It is open to artists from Cornucopia, Herbster and Port Wing area or who currently exhibit their work in a Cornucopia business or gallery. Participating businesses and designated areas under canopies will feature the work of our very talented South Shore artists. Visitors can walk from site to site with the aid of a map stopping to watch a demonstration, buy a piece of art, or purchase other goods or services that the sponsoring businesses have to offer.